A beautiful sterling silver bracelet, featuring mother and son character charms. This represents the sacred relationship between a mother and son. The bracelet comes neatly mounted on a message card with a short poem. 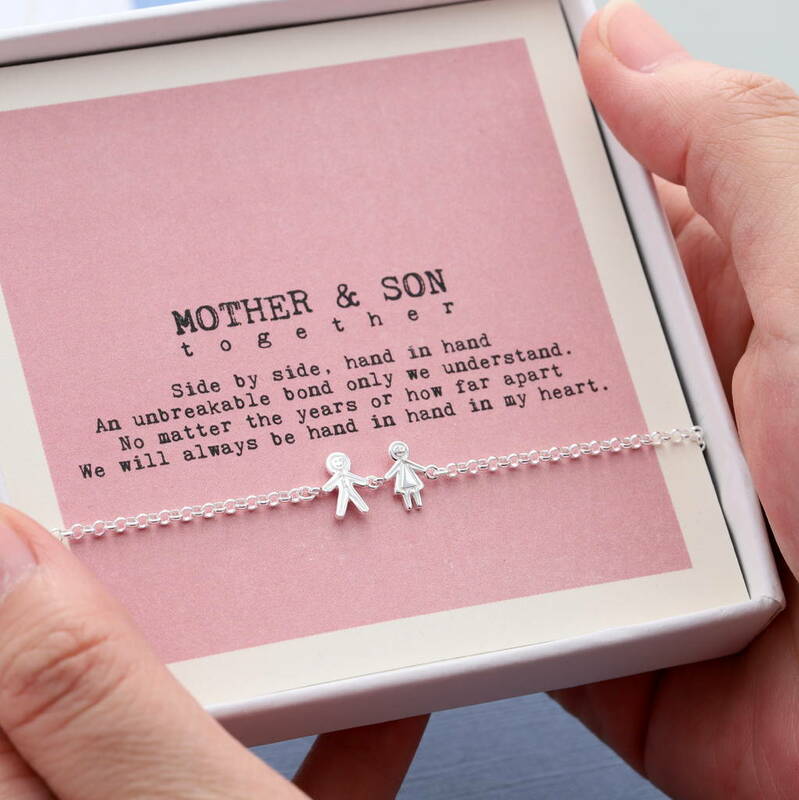 As part of our 'Together' Range, the bracelet has charms of little people hand in hand, to emphasise the importance of a family and the bond among the family members. The support and love within a family is the most heartwarming feeling. To spread the message - you are not alone, we are together! We have the copyright for this design and the literature, please respect our hardwork and DO NOT COPY.